I've only taken Apple Pectin 700 mg by NOW a week or so, but seems to be working fine. I was pleased to find an alternative to wheat-based fiber supplements. This Apple Pectin 700 mg by NOW helps joints and aches, also lots of good stuff !! Apple Pectin is a source of water soluble fiber which has a gel forming effect when mixed with water. 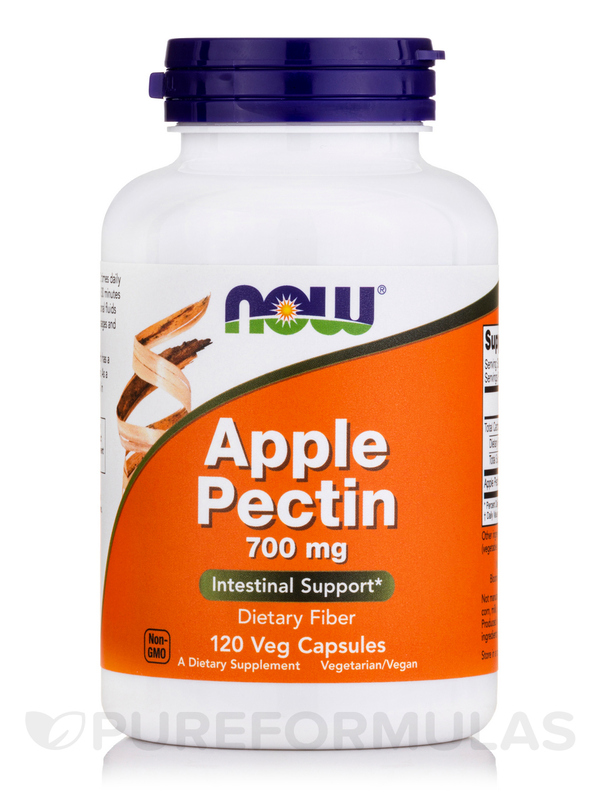 As a dietary fiber‚ Apple Pectin may be helpful in supporting good intestinal health. Take 2 capsules 1 to 2 times daily with 8-10 oz. of water or juice‚ preferably 30 minutes before meals. Be sure to consume additional fluids throughout the day. Start with smaller dosages and gradually increase over several weeks. 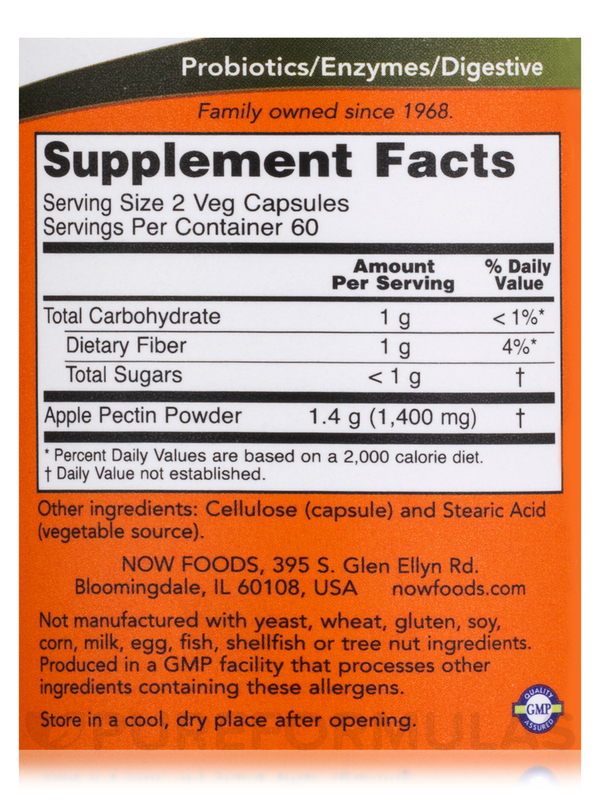 I decided to try the Apple Pectin 700 mg by NOW based on reviews after using an oat bran fiber for quite some time. I have decided to stick with the Apple Pectin. I am getting more consistent results for my chronic irregularity. I take 5 to 6 per day. At first it caused gassiness but it has subsided after about 5 weeks of use. 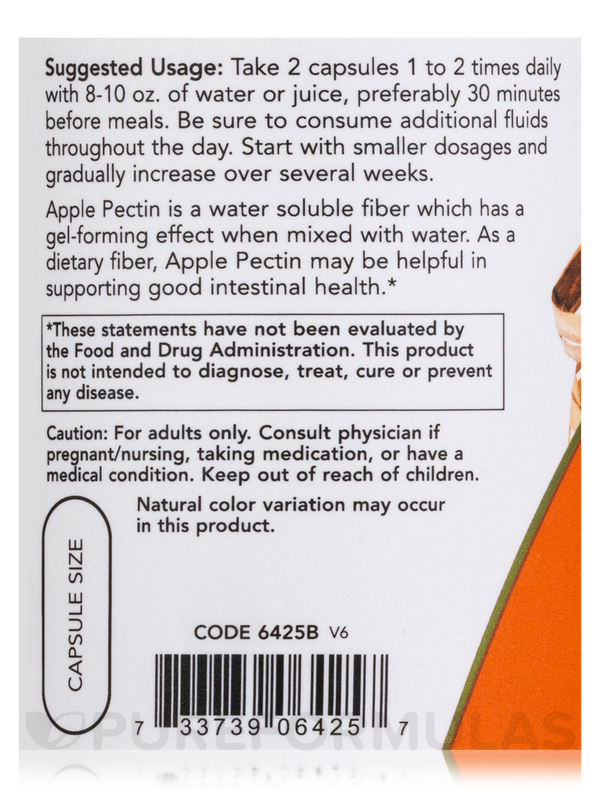 I tried to use this Apple Pectin 700 mg by NOW to help with a liver flush. I didn't care for this product. I bought Apple Pectin 700 mg by NOW to help keep me regular. 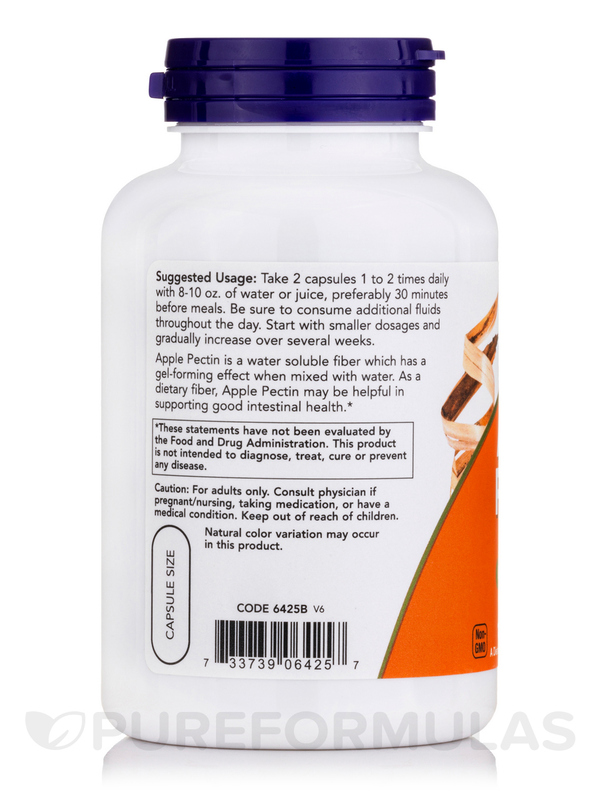 My digestion is a lot better when I take it. I will be buying this again. I bought Apple Pectin by NOW Foods because I have high cholesterol. In 30days I will go to see if it has helped. I was told that Apple Pectin is all natural. Capsules are kind of big but with milk they go down easier. I ordered this for extra fiber in my diet. It seems to help keep me regular. I researched it online and found that many people use it to add extra fiber to their daily diet. Last time I got apple pectin in powder and made my own capsules. 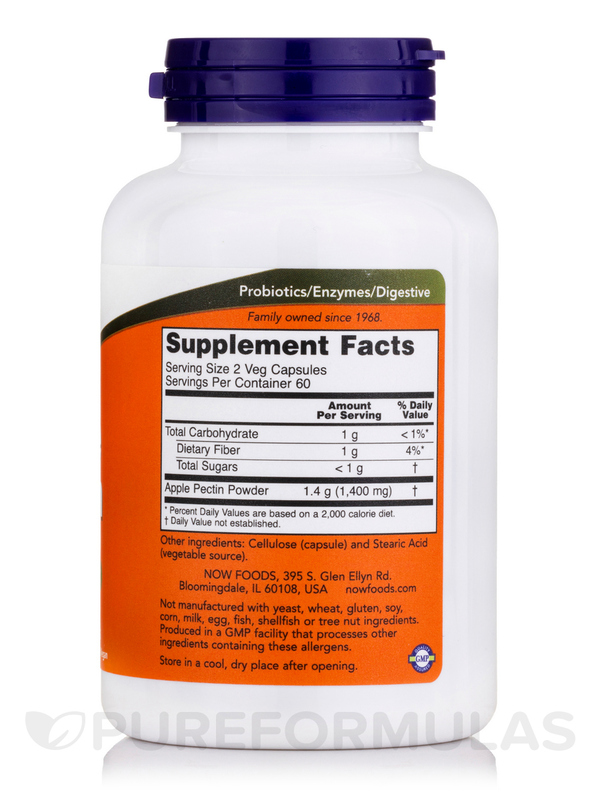 I ordered this because it seem to be a fair price and I dont have to make the capsules!